Kick start your next celebration in Milwaukee with Tacos & Tequila! Great ideas for birthday celebrations and Bachelorette parties that explore Milwaukee’s Mexican food scene! Milwaukee’s ethnic culinary scene is far more diverse than most visitors (or locals) would suspect. Walker’s Point, founded by a fur trader and home of the Polish Moon, now boasts Wisconsin’s largest Spanish-speaking population. There’s no shortage of Latin-infused hidden gems in Milwaukee’s Walkers Point community, and we love to show guests these off-the-beaten-path, authentic restaurants. Mix in a few libations as you eat your way through this vibrant neighborhood, and it’s no wonder the Tacos & Tequila Tour is our most popular option for those celebrating special occasions. Milwaukee Food & City Tours has become a destination for Bachelor and Bachelorette parties, as well as a top birthday party celebration in Milwaukee. 1. Fun-loving companions. Let’s face it, a night on the town is best enjoyed with a friend or two (or more!). Not saying “I do” anytime soon? Our tours are also great for birthdays, anniversaries and other group outings. Or, maybe you want to explore some of the southside gems you may have missed. Plus, you’ll be able to enjoy door-to-door service without worry as we chauffeur you to each restaurant in one of our private green buses. 2. Tacos. Corn or flour, flat or folded—whoever invented this tortilla-wrapped deliciousness is a winner in our book. We sample different taco variations at each stop, so you can get the most authentic, flavorful Latin experience. And, of course, chips and salsa! 3. Tequila. It wouldn’t be a true Milwaukee tour without a little something to whet the appetite. Frozen, on the rocks, or flavored. With so many tasty combinations, it is any wonder that tequila is North America’s oldest distilled beverage? No reason to mess with a good thing. 4. Mariachi. While it’s not guaranteed, you’ll often find a Mariachi band serenading brides-to-be and other diners alike at one of our mainstay tour stops, El Senorial. We won’t blame if you if you want to get up and dance a little merengue—it’ll be our secret. 5. A sweet treat. Every great meal ends with dessert, which leads us to our final stop of the evening at a family-owned traditional Mexican bakery. You’ll need the extra dose of sugar to keep your energy levels up. 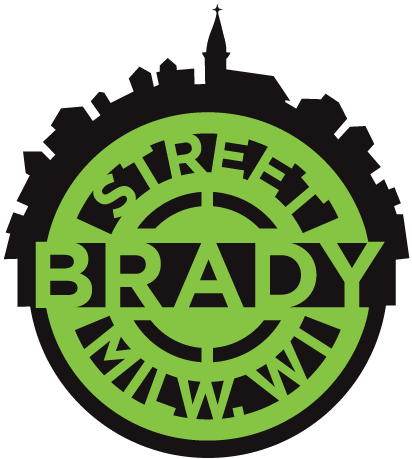 Our tour will conclude in plenty of time for you to continue enjoying the nightlife that Milwaukee has to offer! The Tacos & Tequila tour happens nearly every Saturday night, and we’d love to celebrate your special day with you! For smaller outings of 15 or fewer guests, groups often book tickets on our regularly scheduled tours by making their reservations online and joining a public tour. To do so, just view our calendar HERE. 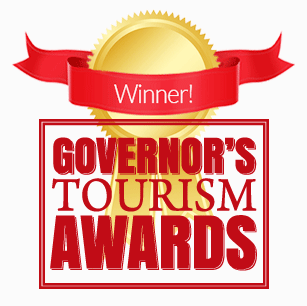 For private tours of 15 or more, your reservation does not require any additional cost. You can pick the tour route, date and start time of choice (based upon availability). Simply provide us with a final head count and payment 5 days prior, and we take care of the rest. We can even provide a private link for your guests to purchase tickets, eliminating your hassle of collecting payments. 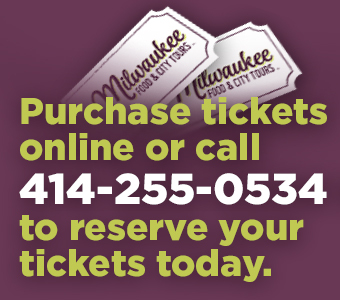 Please contact info@milwaukeefoodtours.com to schedule your special occasion tour today!